10:00 – 10:15 Opening en inleiding door Dr. Annine van der Meer. Long ago people lived together peacefully, feeling connected to everything and everybody. It was the era of the matriarchies or mother cultures: egalitarian societies, where the feminine was at the heart without disturbing the balance with the masculine. However, since then icy times have come for women and the feminine: the fatherland has proclaimed itself. God the Mother has been banished. She continues to live on underground in hidden symbols and images, and only a few people still know her. Academy PanSophia allows people to get re-acquainted with the motherland, the mother tongue and God the Mother, in order to restore the balance between the masculine and feminine, as well as between heart and head, inside and outside. This new balance creates more room for all to be his/her own unique self and will lead to stability, harmony and peace in the world. PanSophia invites you to help build this new world. 1300… Venuses are presented in a large full-colour book of 592 pages. 1300… feminine highlights and masterpieces from all over the world come together in one book. 1300… beauties, each provided with a number and a short description; the corresponding characteristics are linked to each other by numbers. Click here to read everyhing about this book! God the Mother is the same everywhere, but has different names. In India she is called Shakti, in ancient Egypt Isis and in ancient Israel Chokma. In Greece her name is Sophia, in Dutch: Wisdom. Sophia is the cosmic primal force, who co-creates with the Father. She is the female counterpart of God the Father. Pan means all-inclusive. So PanSophia is the Sophia who includes all, all the goddesses, who embody the divine wisdom in both ancient and contemporary cultures. All over the world you will find goddesses, who personify divine wisdom. They smile and know, although, their hearts are full of sorrow caused by suffering and misery. They keep smiling through their tears, because they lead humanity from unconsciousness to consciousness. They are guides. In Western and non-Western cultures, a one-sided masculine concept of God and humanity, has evolved, leading to the loss of the feminine side of God and the balance between man and woman in Nature and in life in general.2. Humanity has therefore unitarily developed the male side of consciousness, both intellectually and emotionally, and this consciousness has become dominant in the relationship between people, in religion, in Nature and in life in general.3. As a result, the knowledge of ancient matriarchal cultures was lost and contemporary female and androgynous cultural movements are not recognized as such, let alone acknowledged.4.The retrieval of all this knowledge is of the utmost importance in order to create a new balance in man, religion, Nature, society, and between men and women in our present-day culture.5. A new global and interdisciplinary branch of science is currently developing , that seeks to examine ancient matriarchies and contemporary female and androgynous cultural movements, in order to restore the balance between God, man and the world.6. This new branch of science should also be developed in The Netherlands. These considerations are included as a preamble to the Statute of the Foundation Academy PanSophia. rediscovering the female God, the feminine values and women’s contribution in ancient and contemporaries cultures. transferring knowledge, insights and skills that could contribute to the merging of feminine and masculine values into a new, integrated image of man. Hence, the subtitle is: knowledge centre matriarchy and oneness consciousness. A matriarchy is a society in which the matriarch and the women occupy a central position and are in charge, without dominating. There exists a system of wise principles and social codes, allowing people to live together in peace and in harmony with Nature. Balance is the keyword. Matriarchal societies are focused on the cycle of birth, death and rebirth. Life is considered an initiation road which the soul has to go in order to reach a greater awareness of itself. The mystery-tradition of the Mother-cultures knew techniques through which men and women – in a physical union – achieved a spiritual union. Academy PanSophia will present new information to the widest possible audience. setting up a library, media centre, art library and museum, in order to gather and preserve the world heritage from ancient mother cultures, to get rid of the underestimation and prejudices , to present it to posterity in a positive way and to pass it on as valuable memories from a ‘pagan’ past. Wherever possible in collaboration with sister organizations abroad. publications, including information material, cultural and historical travel guides and books on specific knowledge areas or themes. 2009 is the first year that the Academy is actually running. What kind of things happened this year? As in 2008, in spring and autumn introduction meetings are organized for interested persons to get acquainted with the ideas of the Academy and to provide information about the purpose and the educational programme. Meetings took place on Saturday 18 April in Velp and on 21 November 2009 in Waalwijk. From January to June 2009, 32 students take the first basic course consisting of six Saturdays from 10.00 h till 16.30 h in NPB church ‘De Engel’ in Huizen. Teachers are Gertrude Arents (sacred dance), Linda Wormhoudt (shamanism) and Annine van der Meer (ancient and modern matriarchies, sacred feminine art and symbols). A syllabus incorporating the theories about ancient and contemporary matriarchies is made. The evaluation of the basic course shows, among other, that the programme is seen as quite full. That’s why it is decided by mutual agreement to continue with two of the three teachers and to give teacher Linda Wormhoudt a separate teaching day in the advanced programme. From September till December 2009, Gertrude Arents and Annine van der Meer teach a second basic course. 22 students signed up for this course. The syllabus is extended. A number of introductory homework assignments with accompanying visual material to prepare the students for the six teaching days are placed on the Platform on the website. Besides, students can exchange information via the private forum. The students conclude the second basic course with great enthusiasm in December 2009. On 12 September, the opening of the second Academy year takes place in the church De Kandelaar in Holten. In this memorable meeting, the second book in the series of Academy PanSophia published by A3 boeken: Venus is not a vamp – the female image in 35,000 year Venus Art, by Annine van der Meer, is launched. A book of 456 pages with approximately1000 illustrations. Upon entering the meeting the participants experience a meditative atmosphere created with beautiful images (of Nature) and sound effects by Koen Fossey of Yessof Art from Belgium. After this he gives a brief but impressive lecture on the patriarchal distortion of prehistory, based on a children’s book published in French in Paris in 1977 and translated into Flemish in Brussels in 2006. On the first page of this book the prehistoric man is described, wild Tarzan-figures smashing each other’s skulls with a club. The men are the hunters and supply all the food, they make war, create art, including cutting Venus figurines, and function as doctors and shamans. The women are barely visible in the book and if this is the case, only sitting in a passive posture. This is the shocking picture of prehistoric times presented to children up to this day. Annine van der Meer continues the programme with a lecture and Power Point presentation on her book Venus is not a vamp, in which she points out the main and subgroups known in Venus art during 35,000 year. She shows how various body postures keep returning through the ages, proving Venus art has a global consistent female symbol system. The imagery of the mothers formed a metaphorical mother tongue, which was spoken all over the world. Next she shows how, together with the degeneration of the female symbol system in patriarchal times, the respect for the sacred-feminine disappeared from the consciousness of the people and therefore disappeared altogether. On 6 December the calendar year ended with a Sunday afternoon lecture on the Black Madonna by Annine van der Meer. The venue is again the NPB church de Engel in Huizen. Students, teachers and other interested persons gather in a packed church; there is joy and solidarity with the unveiling of the dark side of the godly mother. Regally and mysteriously she shows herself and her fully developed son: they unite darkness and light. The meeting is a glowing and hopeful conclusion of a good year. Various newsletters inform interested persons about new developments within the Academy. 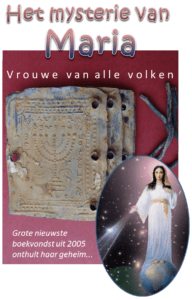 Early October 2009, Annine van der Meer travels to Freiburg University in Switzerland to meet Prof. Dr. Othmar Keel, well-known for his research into the goddess in the Bible and the Canaanite past history of Ancient Israel. He and his students advocate to stop the denial of Canaanite past in Judaism and Christianity, and instead integrate it. Plans are made to bring a travelling exhibition about the goddess in the Bible from Freiburg University to the Netherlands. A comprehensive report is included in the News section at the website. At the end of October Annine van der Meer participates in an international congress on matriarchal studies in Canada. Here the representatives of indigenous matriarchies from all over the world report in an impressive way on the values built up in their societies , enabling people to live in harmony and balance within themselves as well as with each other and their environment. Within the international matriarchal network it is suggested to celebrate an international 21st century Mother’s day, in the sense of Mother Earth day. A full report of this congress has been placed on the website under the heading Publications. In 2009 the board of the Academy is composed of Annine van der Meer (chairperson), Adrie Beyen (secretary/treasurer) and Anne Kool (member). In 2008 we worked hard to be able to start the Academy in September and to establish the foundation of ‘Academy PanSophia’. It was a year of preparation. A lot of meetings are held. The central council consisting of some 30 people meets in Leiden on 8 February, 18 April, 19 June and 22 August, preceded by a preparatory meeting of the executive committee, composed of Paula van Kersbergen, Petra Koeleman-Warmerdam, Maria Leuwener and Annine van der Meer in Honselersdijk. In between, the structural committee consisting of Paula van Kersbergen, Anne Kool , Annine van der Meer and Jean Jacob (Joost) Mulder meets several times in Arnhem. Three people from the education committee, namely Cora van Ham, Paula van Kersbergen and Annine van der Meer undertake to develop the basic educational programme. They also make a first selection from the courses and lectures offered by the central council members and the larger group of interested persons. The aim is to construct the educational programme that will be offered on Sunday afternoons and on Saturdays, the whole day. The Sunday afternoons lectures will be open to everyone interested, the Saturdays will only be accessible to students who have completed block 1, the basic course. On Saturday mostly lectures on ancient cultures with matriarchal elements are programmed; they are theme days. Furthermore, an excursion programme is being prepared. On 24 May, Annine van der Meer teaches a one day course – an introduction to the theory and methodology of the international matriarchal research – for central council members, teachers and interested persons at the NPB church ‘De Engel’ in Huizen. A syllabus is made for this course. With the proceeds of this day there was enough money brought in to pay for the expenses made for the brochure, website and the deed of foundation by the notary. The Public Relations committee, consisting of Adrie Beyen and Anne Kool, focuses on the development of a house style, a logo, a general brochure and a website. In June the colourful brochure is printed and a month later the website is ready. Academy PanSophia is in the air. This is an important step, as the Newsletter can now be sent digitally and people can register for the events of the Academy through the website. On 6 September 2008, the opening of the Academy takes place in the Helena chapel of the congress centre ‘Contact der Continenten’ in Soesterberg. Hundred and forty people come together. The opening is linked to the launch of the book From Sophia to Maria by Annine van der Meer. Femke Reeuwijk and Jorien Lamers, directed by Maria Leuwener, perform a Sophia dance. At the end of the programme the PanSophia flower opens and unfolds the knowledge areas: 1.cosmology and evolution 2. The concept of god and man 3. Mind, soul and body 4. Mother cultures and androgynous cultural movements in ancient and modern times 5. Nature and landscape 6. Sexuality and relationships 7. Healing and curing 8. Life and death 9. Man and society 10. Sound, dance, image and word. It has been a splendid and well-attended event. There is joy and gratitude. On 1 October the structure of the organisation is radically changed. The executive committee resigns and is replaced by an interim- board of three people, consisting of Annine van der Meer (chairperson), Adrie Beyen (secretary/treasurer) and Anne Kool (member). On 13 November at 16.30 h, at full moon, the deed of foundation is passed at the notary’s office Franke in Naaldwijk, the Academy PanSophia foundation is established. In preparation a second opinion is sought from notary R.J.E. Zwaan, of the notary’s office Barents and Krans in The Hague, specialized in ANBI-foundations. 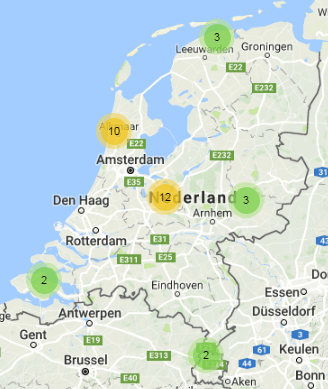 On 8 November and 30 November introduction meetings are organized in The Hague and Amersfoort in order to draw the attention of the public to the Academy in general and, in particular, to the basic course which will start in January. The departments Sacred Landscape Science and Fertility Awareness give their assistance. More departments will be founded in the future. Departments conduct research and develop activities in a specific area. The Board has asked every department to hand in an article stating the relevance of their work for the Academy and a work-plan. The year 2008 has been marked by the establishment of the foundation and the preparation of the start of the Academy. Both goals are achieved and therefore the year ends satisfactorily. On 15 August 2007, on the Day of the Assumption of the holy Virgin, approximately 30 people, invited by Annine van der Meer, gather in Honselersdijk. They decide to cooperate to fill up the gap that is perceived between science and sacrality, between theory and practice. On 7 and 8 November, a two day’s conference takes place in the centre the ‘Hof van Axen’ in the woods of Drenthe. It is decided to divide the group into four quadrants that will respectively focus on: society, education, research and information. Each quadrant develops a work-plan, that is discussed later in the meeting of the whole group. Later in the year regular meetings per quadrant take place. The quadrants report regularly about their progress to the large group, which is called the central council. Four people from the central council make themselves available for an executive committee, namely Paula van Kersbergen, Petra Koeleman-Warmerdam, Maria Leuwener and Annine van der Meer. A organization committee is formed from the central council to focus on the legal and organizational structure of the academy, the preamble (responsibility for the foundation), objective, regulations, name and sub name. This committee consists of Paula van Kersbergen, Anne Kool, Annine van der Meer and Mr Jean Jacob (Joost) Mulder. It is decided that the educational programme will start in September 2008. There is less than one year to achieve this. In the educational programme ‘learning to speak your mother tongue again’ students can rediscover the hidden Mother Sophia and the lost motherland. The programme has a rational (out)side, aimed at the acquisition of knowledge, and an (in)side, aimed at reaching a greater inner emotional depth. Basic course. ‘Learning to speak your mother tongue again’ (six Saturdays). Theme days. In changing blocks of four or six Saturdays ancient cultures are studied in depth from a motherland perspective. Programmed are days on cultures like Crete, Malta, South-Italy and Sicily, Cyprus, Tuscany, Egypt, Anatolia and Greece. Also subjects from the ‘knowledge areas of the academy’ are studied in depth. People can register for the whole block and for a single Saturday. Sunday afternoon lectures and workshops. These lectures and the workshops have an introductory character and deal with sacred arts and skills and other subjects from the ten knowledge areas. Evening lectures. A few times a year Annine van der Meer will give an evening lecture about one of the following topics: ‘From Venus to Madonna – about the rediscovery of a lost motherland and the transition to the fatherland’; ‘From Sophia to Maria – about the rebirth of Sophia, the wife of God, in Judaism and Christianity’; ‘Venus is not a vamp: the development of the female image in 35,000 years of sacred female pre-Christian art , the so-called Venus Art’. Seminars. A few times a year Annine van der Meer will organize a seminar to elaborate on one of the three topics of the evening lectures. Travel. Tours can be organized to various motherland destinations, in which the acquisition of knowledge and the assimilation of knowledge at the inner level are combined. To participate in a trip it is compulsory to have completed the basic course and attended the relevant Saturday theme day. Questions, comments, suggestions and information are very welcome. We would like to receive your questions, comments and other responses preferably by email.